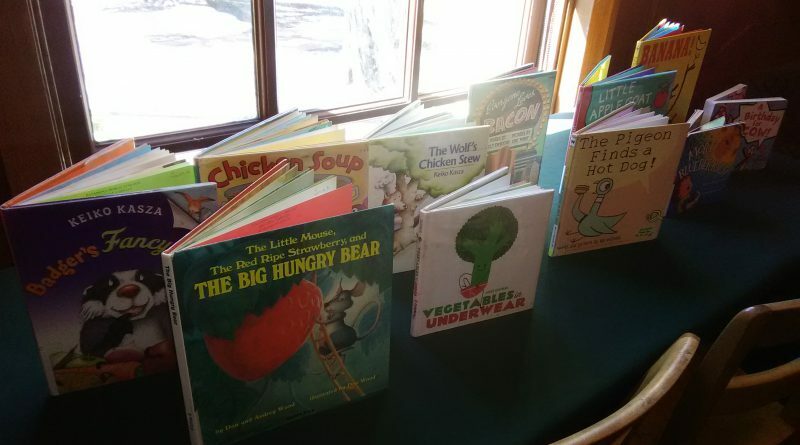 Last Saturday, we did a storytime that worked up an appetite, with stories, lots of dancing and movement, and yummy, funny reads! I did a short puppet show narrating the classic book The Little Mouse, The Red, Ripe Strawberry and the Big, Hungry Bear by Don and Audrey Wood. I used a puppet for the mouse and the kids helped me trick the mouse and convince him that there really is a big, hungry bear going tromp, tromp, tromp on big, hungry feet. The Woodpecker Wants a Waffle by Steve Breen features a woodpecker with a dream. All Benny wants is just one maple-syrupy waffle… But he keeps getting kicked out of the diner, and laughed out of the forest by the other animals. Fortunately, Benny has a plan to show them all! 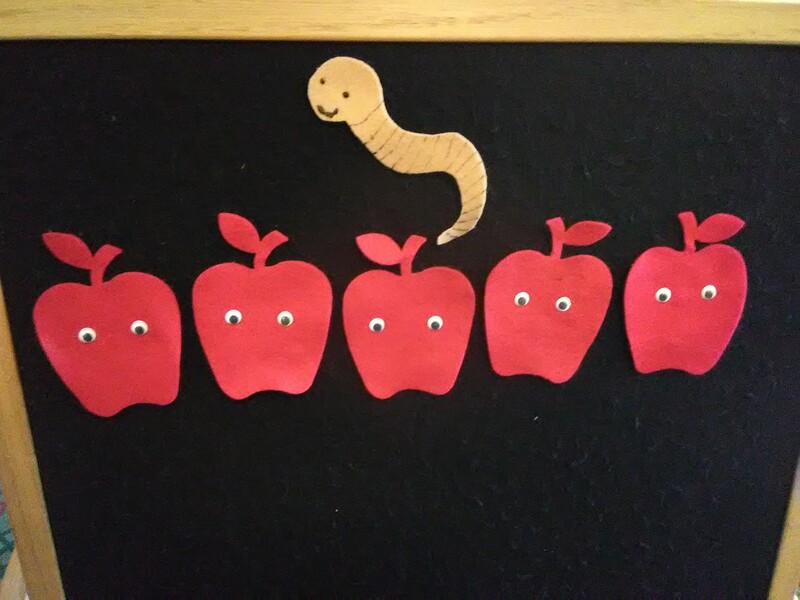 Hungry Bunny by Claudia Rueda is an interactive kind of book with prompts to touch, blow or tilt the pages, with the goal of helping the bunny reach the apples and get home in time for dinner. I Won’t Eat That by Christopher Silas Neal was an instant favorite as soon as I read it! The sour, picky cat’s voice is just deliciously fun to read. In it, a picky eater cat interviews other members of the animal kingdom to find out what they eat. And he ate one apple off of the tree! Magic finger on my lip… Shhh! We watched The Pigeon Finds a Hot Dog, based on the book by Mo Willems.